Philadelphia Police searched the Belmont Plateau area of Fairmount Park after receiving possible sightings of the man wanted for a random shooting in Ohio. 37-year-old Steve Stephens shot and killed 74-year-old Robert Godwin Sr. in Cleveland yesterday. A video of that shooting incident was posted on Facebook and Stephens also said he killed a dozen others. Nine schools in the West Philly area were placed on lockdown this afternoon. Police say there is no indication that Stephens is in the area or in the City of Philadelphia but they are following up on the sightings. 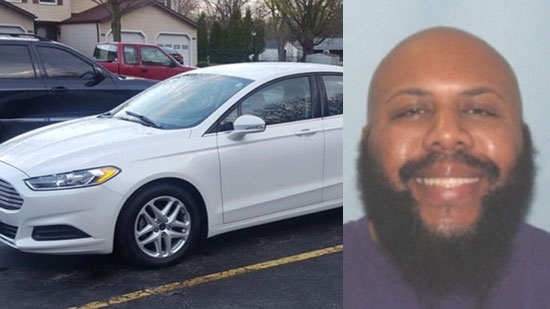 UPDATE: Cleveland Facebook Killer, Steve Stephens, shot and killed himself on Tuesday morning after a brief pursuit with police in Erie, PA.
Abington Township have canceled their search for an Uber driver who went missing last week. 45-year-old Krysten Laib disappeared last Tuesday morning just before 5 a.m. She dropped off her last fare near Pennypack Park in Northeast Philadelphia and texted her mother. She has not been heard from since. Today, Police say they found her vehicle, an olive green 2003 Subaru Legacy, near the Ben Franklin Bridge. They now believe her disappearance was voluntary. They also believe that she intended to harm herself. Authorities are now searching for her remains. A memorial for 3-year-old Brendan Creato at the spot where the toddler was discovered dead in October 2015 has been removed ahead of his father's trial. The spot in the wooded area a few blocks from his Haddon Township home still displayed candles, stuff animals, photos, cards, and more. 23-year-old David Creato Jr.'s trial begins this week. The jury is expected to visit this spot in the park. The defense argued that leaving the memorial could sway the jury. Jury selected starts Tuesday.